Baby Antoine was born 12 weeks early and spent about 10 weeks in our Boardman NICU. His parents, Nathalie and Stephan, rushed from France to be with him and found many comforts in the staff’s generosity, who quickly became their new American family. 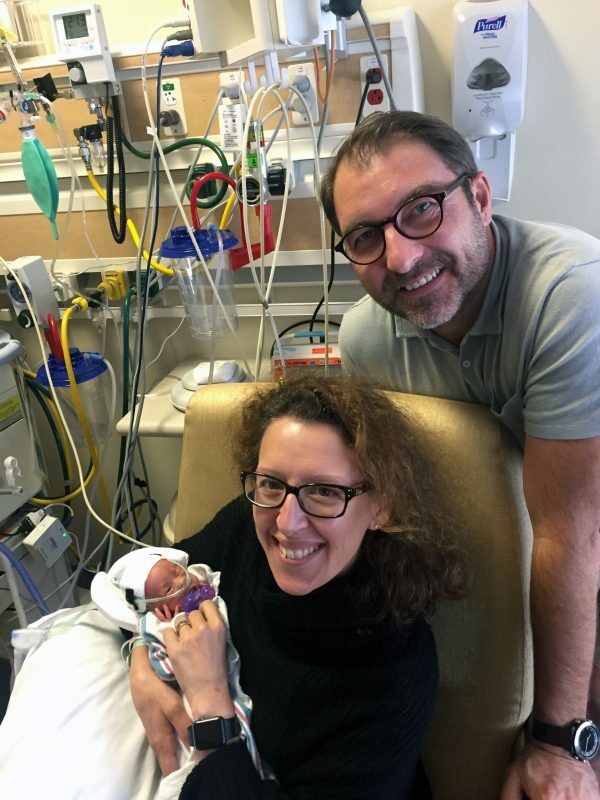 For Nathalie and Stephane Rué, the journey to have a baby took them thousands of miles away from their home in France to the United States. As they welcomed their infant son Antoine to the family, they also found a new family in our neonatal team at St. Elizabeth Boardman Hospital. The Rués had contracted with Caring Hearts Thru Surrogacy based in Lakeland, Fla., which arranged for a surrogate in the Mahoning Valley to carry their child. They anxiously awaited the birth of their baby, who was due on Oct. 27. However, while traveling to Portugal to visit Nathalie’s family, they received an unexpected phone call – their baby was born at 28 weeks gestation on Aug. 5. They quickly scrambled to make travel arrangements, arriving in the U.S. on Aug. 12 to be with their son. “Immediately, we were impressed with the professionalism of the team and the medical care Antoine received,” Stephane said. As the Rués spent long days and nights in the NICU, they formed a close bond with many of the staff members – from the doctors and nurses who cared for Antoine to the clerical and housekeeping staff they met on the unit. Recognizing how hard it is to be thousands of miles away from family and friends during such a difficult time, the team did everything they could to help. The couple stayed in the McFamily Respite Center in the NICU, which saved them the expense of a hotel room and allowed them to be closer to their son. Staff members brought them food, helped them find a place to launder clothes, made arrangements to obtain Antoine’s passport, and gave them recommendations on restaurants and local attractions, so they could take a much-needed break. 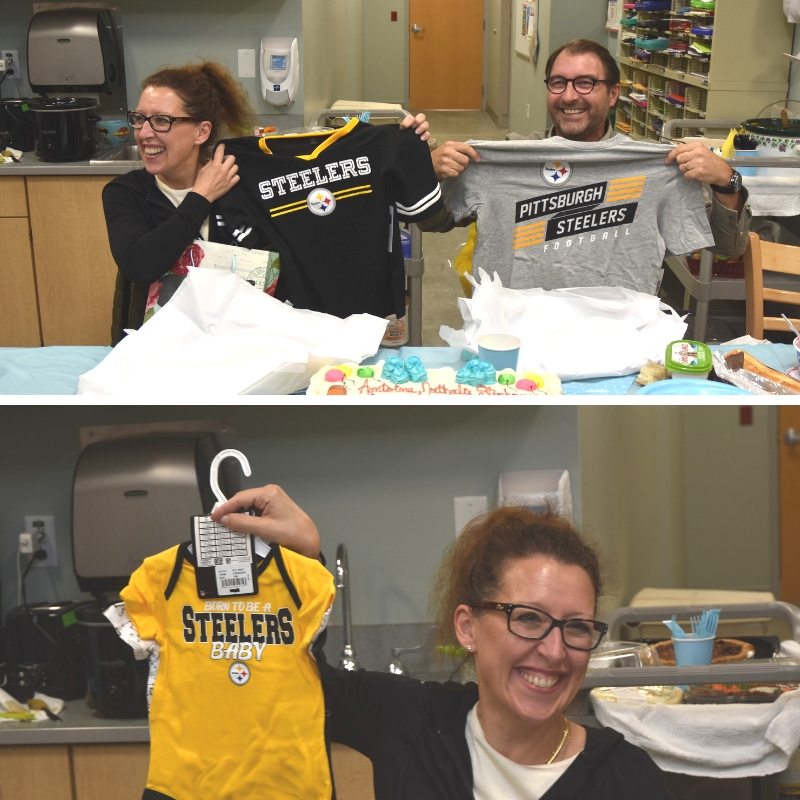 Dr. Barbara Clouser, site director of Mahoning Valley neonatology, gave them tickets to a Pittsburgh Steelers game so they could experience American football. Housekeeping staff member, Mercy Tatarciuc, and her husband took them on a visit to the Rock and Roll Hall of Fame. The Rué Family all took home Steelers’ gear , too! Marcy Koltonski, a staff/transport nurse, had previously arranged for the nearby Davis Family YMCA to provide passes to NICU families. The Rués appreciated this opportunity to get some daily exercise and relieve stress. 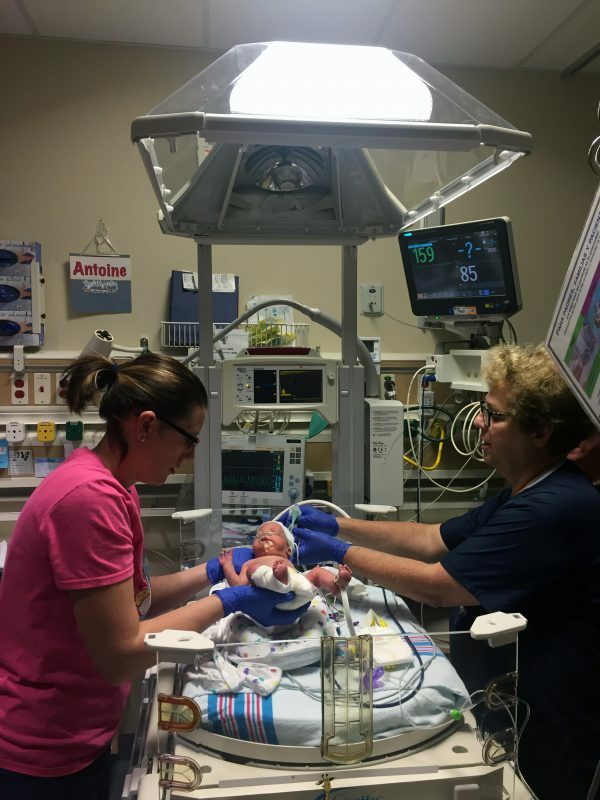 In early October, Antoine was transferred to the NICU on the Akron campus for possible surgery. Unfortunately, the couple was not able to ride with the transport team to Akron that night, so unit secretary Bianca Rebrisorean gave them a ride when her shift ended at midnight. 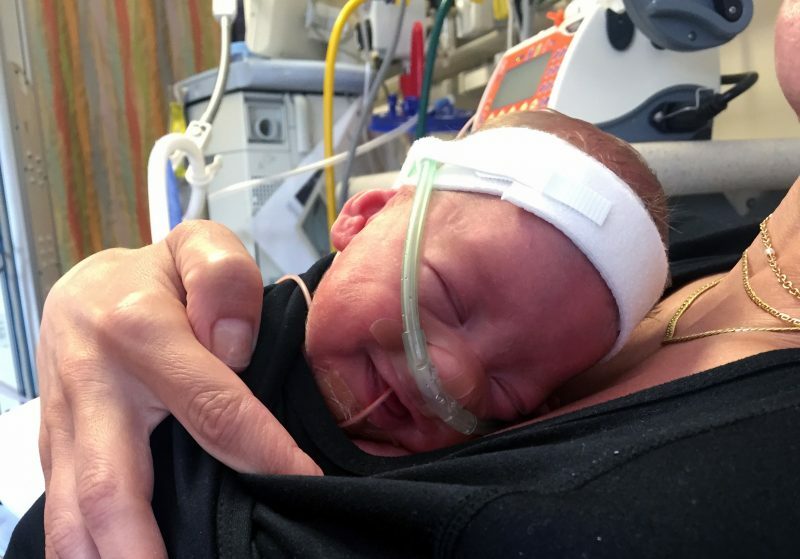 As baby Antoine grew big and strong, he loved frequent kangaroo care with his mom. The following day, Mer discovered the Rués had left behind some food in the McFamily Respite Center and decided to deliver it to them in Akron. 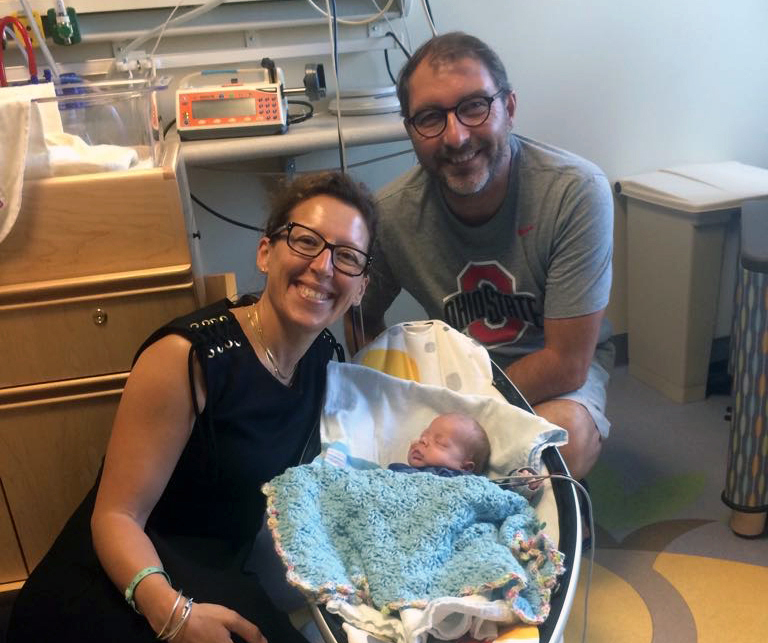 While in the parking deck of the Kay Jewelers Pavilion, Mer ran into Nathalie and Stephane with NICU clinical coordinator, Joan Slattery, who had also traveled to the Akron NICU to bring the couple a home-cooked meal. Although Antoine did not need surgery, he remained in the Akron NICU until he was discharged on Oct. 20. 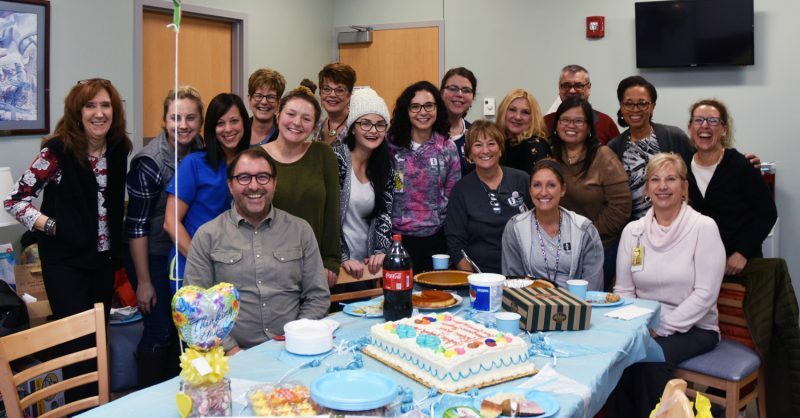 Before the Rués made the journey back to France, the team in the St. Elizabeth NICU threw a baby shower for them with an American Thanksgiving theme. The staff also purchased a car seat/stroller to ensure Antoine traveled safely on his long trip home. All their new friends in the NICU attended the American Thanksgiving themed baby shower. 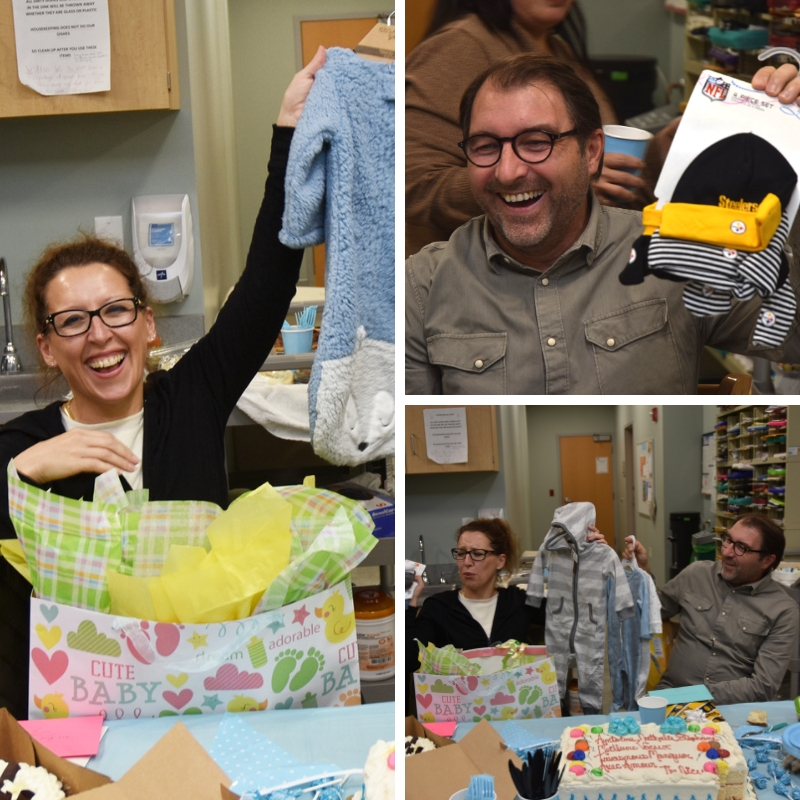 The shower included many adorable gifts for the baby.